There is a new Top-Level Domain (TLD) extension, .Monster, that was recently launched by XYZ.com LLC (“XYZ”). Currently, the .Monster domain is in the sunrise phase. The sunrise phase is the launch period, February 18th to March 20, 2019, that is reserved for registration by trademark holders. The domain extension then enters the Early Access Period (EAP), March 21st to March 28, 2019. The EAP is a phase for priority registrations; meaning, you will pay a significantly higher price for the early registration of a .Monster domain. 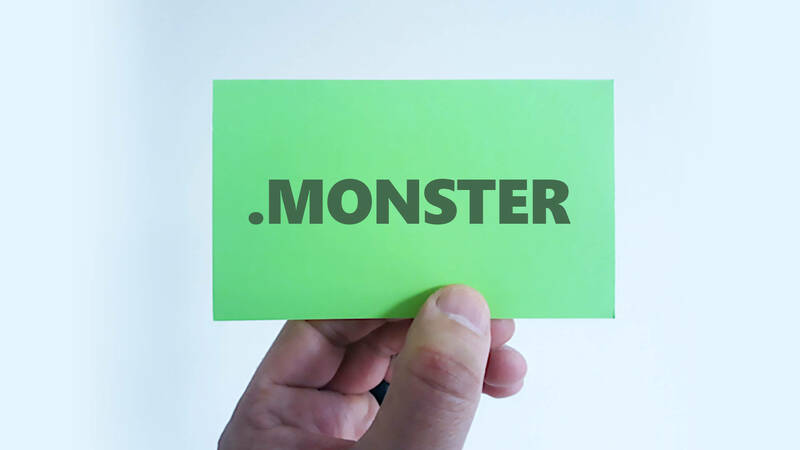 On April 1, 2019, the TLD will enter its final phase, General Availability, when .Monster domains will be available to the general public for regular domain registrations. And, no, it is not an April Fool’s joke. Who Should Get a .Monster Domain? Anyone can register a .Monster domain name, because the extension is categorized for general use. That means the extension is meant to be widely used, and you can register a .Monster domain for a wide-variety of names and keywords. Despite the general nature of this extension, the registry is marketing the extension to creative folks. You can make a bold statement with a .Monster domain name, and I suspect that we will start to see some creative uses of this extension. If you are thinking about registering a new domain name, I think it is a good extension for several reasons. First, your new .Monster domain name will let you stand out from the crowd. Since the extension is so new, there will not be a lot of .Monster domains on the web. Your domain name will stand out from all of the other domains that people are used to seeing. Plus, an extension with the word “monster” is by its nature very different from other extensions–which leads me to my next point. Second, a .Monster domain may be intriguing to people. I think a .Monster domain will pique people’s interest. Imagine a mild-mannered artist who gives you his card and it says JohnTedSmith.com [a completely random name that, at the time of this writing, happens to be available]. That domain name itself is not enough to pique your interest, right? However, you might be inclined to check out his website if his domain was JohnTedSmith.Monster, or John.Monster. Of course, John Ted Smith should register the .Com version too, but the point is that the .Monster name would certainly be intriguing whether John Ted Smith’s personality was mild or wild. Third, your .Monster name will probably be memorable. For example, a person may forget that a site is a .Co and not a .Com site, or forget whether a website is a .Review or a .Reviews site. Was it a .Site or .Website domain? Was it a .Shop or .Store domain name? With that said, the .Monster extension is so bold it has the potential to make certain names stand out and appear intriguing and memorable. I really like this domain extension. A .Monster extension adds character to the domain name. If you are looking for a domain name that is unconventional, zany, offbeat, humorous, or eccentric, you may want to consider a .Monster domain. It is a good choice if your name signifies something with significant size, as monster is often used informally to mean something big. A .Monster name is also a good choice for fans of super heroes, horror shows, or science fiction. You can really get creative with a .Monster domain. I would like to know what you think. Do you like this domain name extension? Would you register a .Monster name? Leave a comment, and let me know your thoughts.